Home » Free e-Books » Try Kindle Unlimited FREE for 30 Days! Attention book lovers, check out Kindle Unlimited, a new service that allows you to read as much as you want, choosing from over 750,000 titles. You can read on any device with a free Kindle app and borrow up to 10 titles simultaneously. Just look for the Kindle Unlimited icon throughout the Kindle Store and click on the “Read for Free” button. 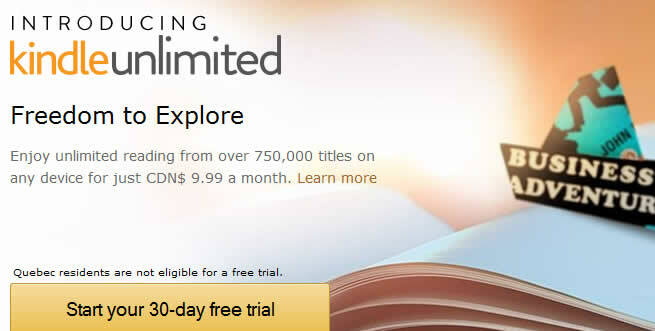 Kindle Unlimited is available for $9.99 a month and you can cancel anytime.